-- The Liars' Club brought to vivid, indelible life Mary Karr's hardscrabble Texas childhood. Cherry, her account of her adolescence, "continued to set the literary standard for making the personal universal" (Entertainment Weekly). Now Lit follows the self-professed blackbelt sinner's descent into the inferno of alcoholism and madness—and to her astonishing resurrection. Karr's longing for a solid family seems secure when her marriage to a handsome, Shakespeare-quoting blueblood poet produces a son they adore. But she can't outrun her apocalyptic past. She drinks herself into the same numbness that nearly devoured her charismatic but troubled mother, reaching the brink of suicide. A hair-raising stint in "The Mental Marriott," with an oddball tribe of gurus and saviors, awakens her to the possibility of joy and leads her to an unlikely faith. Not since Saint Augustine cried, "Give me chastity, Lord—but not yet!" has a conversion story rung with such dark hilarity. Lit is about getting drunk and getting sober; becoming a mother by letting go of a mother; learning to write by learning to live. 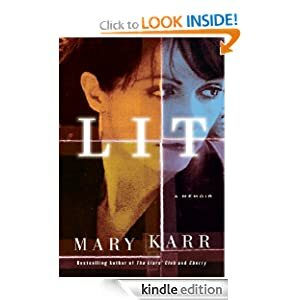 Written with Karr's relentless honesty, unflinching self-scrutiny, and irreverent, lacerating humor, it is a truly electrifying story of how to grow up—as only Mary Karr can tell it. 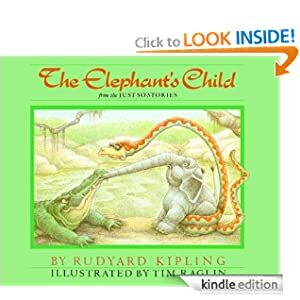 Rudyard Kipling’s story of how the elephant got its trunk has always delighted children with its playful use of language and sense of high adventure. -- Can she love him if she can't remember him? Molly Anderson returns “home” to a town she doesn’t remember, hoping it will spark a memory. She runs into Trent Williams, an off duty police officer, and something else definitely sparks. Trent has his own secrets, but they have a mystery to solve. 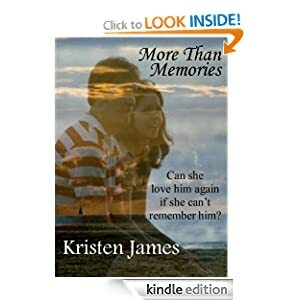 As they work together and Molly meets their old friends, she realizes their relationship went deeper than memories. In fact, she grew up in Ridge City, even though her parents had said they lived there just a few years. How could she have forgotten her lifelong friend and love? Can she love him again if she doesn’t remember him? There’s also the possibility that she did something awful -- and maybe that’s why she’s afraid to remember her old life. -- This is a military based cookbook about the war in Iraq. It was written by Crisalyn B. Sachi. During her son's first tour in Iraq, Crisalyn started writing her recipes and poetry in the middle of sleepless nights. The cookbook has great recipes, poetry, artwork and pictures. It also has a cartoon character named General Mom. This cookbook was set up so that cooking would be fun and easy. 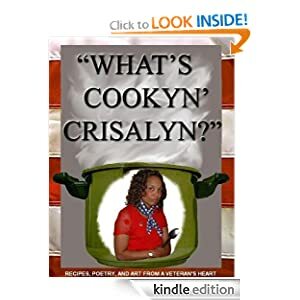 So get your copy and start cookyn' with Crisalyn!